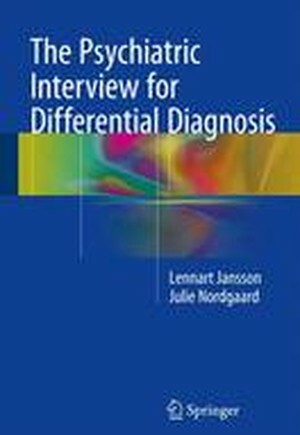 This book offers an alternative to operational diagnostic manuals and manuals for structured interviewing as the only sources of theoretical and clinical knowledge. It provides an exposition of psychiatric interviewing that is theoretically and clinically well founded and supplies the reader with a coherent framework for performance of a thorough psychiatric examination. The goal is not to come up with yet another interview scheme but to facilitate an understanding of the basic (but, today, completely neglected) tenets of psychopathology and phenomenology. This exposition targets the disorders of subjectivity (consciousness), the second-person processes involved in converting subjective, first-person and observable data into a third person, diagnostically useful, format. In addition, the most pertinent clinical descriptions concerning the major diagnostic groups are presented and discussed. Phenomenology of psychiatric interviewing.- The nature of the psychiatric object: Symptoms and signs.- Prototype and Gestalt.- Consciousness.- Experience, Expression, and Language.- Conducting the psychiatric interview.- The goal of interviewing.- Conversational approach.- Semistructured approach.- Mental State Examination.- The difficult interview.- Psychopathology: Navigating between the spectra: organic, schizophrenia, affective, personality, situational problems.- Considering organic pathology.- Indicators of psychosis.- Varieties of depression-like mental states.- Varieties of anxiety.- Acute psychosis and bipolar disorder.- Detecting disordered personality pattern.- Thinking adult in adolescent psychiatry.